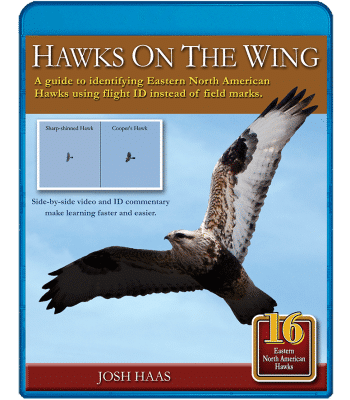 A video guide to identifying Eastern North American Hawks using flight ID instead of field marks. 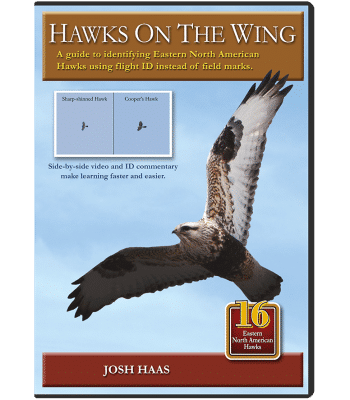 This video is focused on teaching birders how to identify hawks in flight, especially at any number of hawk watch sites around Eastern North America. 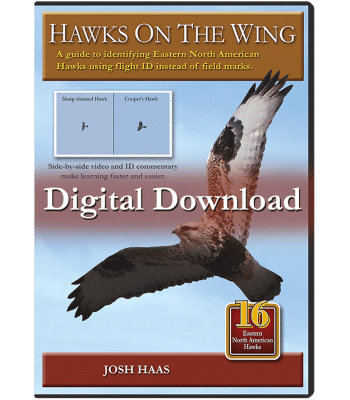 What sets this video apart is the unique feature allowing birders to see two hawk species flying side by side while audio commentary makes learning faster and easier. 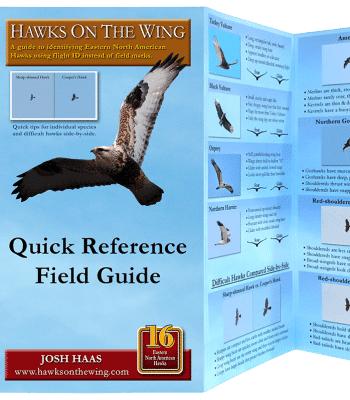 16 Eastern North American Hawks are included along with 28 side-by-side comparison videos. This product is in DVD format and a DVD player is required. *If you own a wide screen TV, this DVD is best viewed in a 4:3 aspect ratio. DVDs offer medium image quality compared to the high definition Blu-ray. If you own a Blu-ray player, we suggest purchasing the Blu-ray for the highest quality viewing experience.